This is a PDH (Pauper EDH/Commander) deck, meaning the commander must be Uncommon (printed/released as an Uncommon at least once), and all cards in the 99 must be Commons (printed/released as Commons at least once). Players typically start at 30 life (instead of 40), and can defeat opponents with 16 Commander damage (rather than 21). Beyond that, it's a pretty normal game of commander, in a very interesting format. 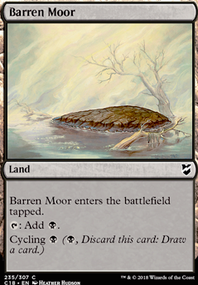 First, you should know that most people choose to play this Pauper Commander as a Combo/Control style deck. Since I always like to do everything in Magic the hard way (unless it's burn =P ), I have thus purposely decided to seek out an alternate path for her. 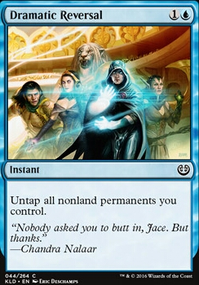 Combo/control is probably a more efficient strategy, given the Commander 's ability to "transmute" for anything, really. However, let's see what else we can do with her! The plan is to take advantage of Disciple of Deceit 's Inspired ability to transmute/tutor for a variety of answers from a toolbox/voltron library. The simplest way to untap a creature is to do so during the Untap phase of your turn. The simplest way to tap a creature is to attack with it, which taps it. If I base my deck upon this fact, then I get a free "activation" of Inspired each turn. Why not try to take advantage of that. Thus this deck goes for a voltron strategy, beefing up the Commander with equipment (and some enchantments) that you can tutor for with her Inspired ability, all of which will occur naturally as you attack with her. Additionally, this deck seeks to make use of the discarding necessary for the Commander 's by employing "graveyard tech," such as Madness, Flashback and recursion. You can even let your Commander die and go the graveyard sometimes, and use recursion to cast her from hand avoid Commander-tax. Convoke (and other things that require -ing) - This allows me to tap my Commander even when attacking with her isn't viable. There are only two cards in and one artifact in pauper that use Convoke, none of which were very impressive. It's easy enough to tap my Commander through alternate methods that I can simply abandon Convoke. Unblockable/"cannot be blocked" - This allows me to safely use my Commander as an attacker, which will trigger Inspired on your the following turn's Untap Phase. Madness - This allows me to cast spells for a discount, while transmuting (tutoring for a spell with CMC higher than the mana I paid to cast it). 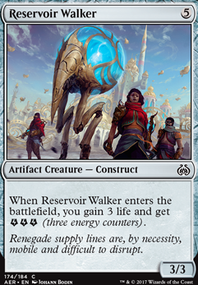 -effects - These allow me to use my Commander 's ability more than once a turn, maximizing her value. Delve - Allows me to make use of the chaff that I discard to my Commander 's Inspired ability. Flashback (and other forms of recursion/reanimation) - Allows me to discard unused spells and still make use of their abilities. I thought I was cool for discovering this PDH Commander on my own, but others optimized it way before I ever came on the scene. So, since I like taking cool cards and doing weird things with them, I decided to keep discple of deceit, but go a different route. 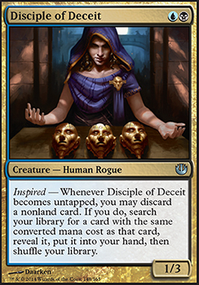 One thing I noticed after I realized others were already playing discple of deceit|her was that most topped off their mana curve at 5-drops. I thought I'd be a rebel and include 6 and 7-drops, but eventually realized that in order to be more effective, discple of deceit needs to always have options. "Options" are limited within 6 & 7-drops, therefore having one in your hand doesn't mean much, even when you can potentially trade it for any other card with equal CMC in your colors. Thus I have limited myself to a 5-drop max as well, and despite going for a different strategy than the typical Disciple of Deceit -player, I have also seen an improvement. Efficient equipment I may have missed, forgotten about or don't know about. Any "toolbox" cards you think I should be using, such as good control or removal. Good or fun reanimation/recursion cards you know of. Effective Pauper EDH ramp I'm not using, if any. Interesting cards with Madness or Flashback, or perhaps Unearth--basically any good graveyard shenanigans you know of that would fit in this deck.